Hi, own a landscape by this artist which I won in the early 80's as a prize in an essay contest. As far as I know he was a well known landscape artist in the Eastern Cape (PE area). Anybody have any idea what the value might be? Unless you add an image or a link to the Artwork - plus the size of the painting,no-one will know. I just saw there is a seller "annaroos" who has sold some of his work in the past. She is also listing one of his paintings at present. @JohnBenn, thanks for the reply. I will try to upload an image tomorrow. 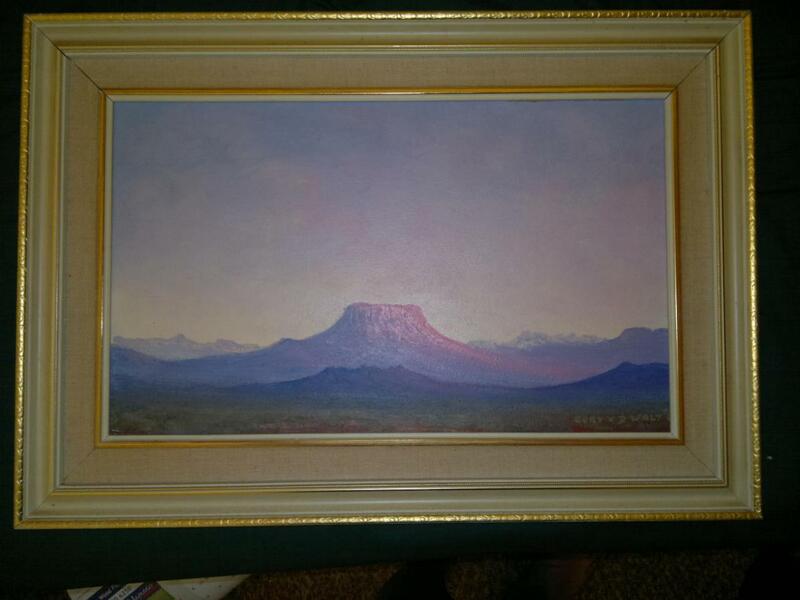 The painting measures 30x50cm and is titled "Karookoppie in die skemering" on the back. Also signed and dated 25/9/82. That is also the original frame in which it came.